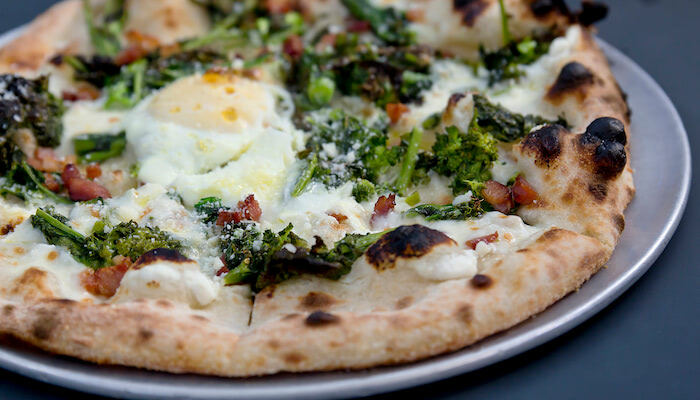 When ordering a pie in your pizzeria, patrons anticipate that first delicious bite. What they aren’t expecting is sinking their teeth into a burnt or bubbled crust. Avoid leaving a bad taste in their mouths — literally and figuratively — by implementing these best practices for consistent, patron-pleasing crusts. Bubbles result from natural and necessary processes involved in making crusts — fermentation and temperature. Sugar and yeast ferment, trapping carbon dioxide and moisture in the dough that expands when heated and causes bubbles of various sizes. Smaller bubbles are usually harmless, but big bubbles can cause toppings to slide and patrons to be less than impressed. If you're making your own dough, it's important to scale, ball and wipe your dough balls with salad oil to prevent drying (most pre-made dough balls will already come scaled, balled and oiled on top). Evenly space the dough balls on a large baking sheet and place them in dough boxes cross-stacked for two hours before down-stacking the dough balls and placing them in the cooler at 34° and 40° F.
Once in the cooler, let them sit for at least 24 hours (48-72 hours, ideally). You'll know the dough is perfectly proofed once it's slightly yellow and about double its original size. Using under-proofed dough will result in many crust bubbles, while using over-proofed dough will result a crust that's too flat. Rushing your dough balls from cooler to oven invites bubble development. 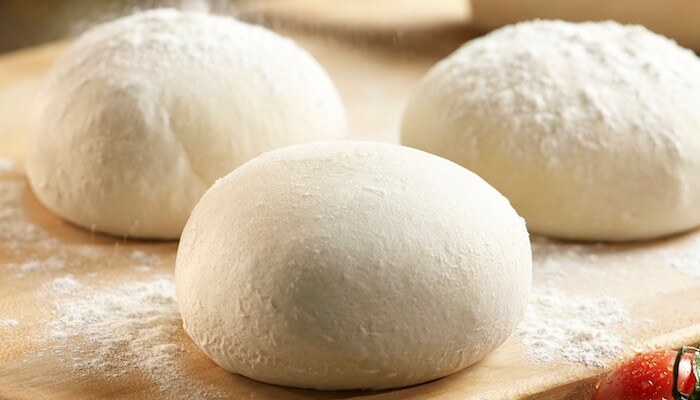 Instead, allow dough balls to warm slightly at room temperature before working into a crust. Some operations successfully avoid bubbles by allowing the dough balls to warm to five degrees above cooler temperature; however, a two-hour temper at room temperature is recommended prior to opening into skins. If other methods aren’t working, or if you have dough with a penchant for bubbling, the spiked rolling pin known as a dough docker could be your salvation. Docking works well for most dough types except those that are high heat — in those doughs, the sauce can "bleed" through the dough and cause the pizza to stick to the peel or oven deck. Another word of caution: dough dockers only help control bubbling, they do nothing to prevent it. The sugar content of your dough can affect bake times and encourage burning. The greater the sugar levels, the lower the bake time. The opposite holds true for dough with low or no sugar content. Common practices for baking directly on oven decks include using flour to help dough release cleanly from the peel. It can also contribute to burn. Using flour means the dough will be in very close contact with the oven deck surface for excellent but rapid heat transfer to the dough. Some operators use corn meal to create a slight insulating air gap between the dough and the deck to slow bake times. Don't let crust bubble and burn scorch your profits. In addition to these best practices for prep, aligning your choice of dough balls and crusts with the oven you have is key. 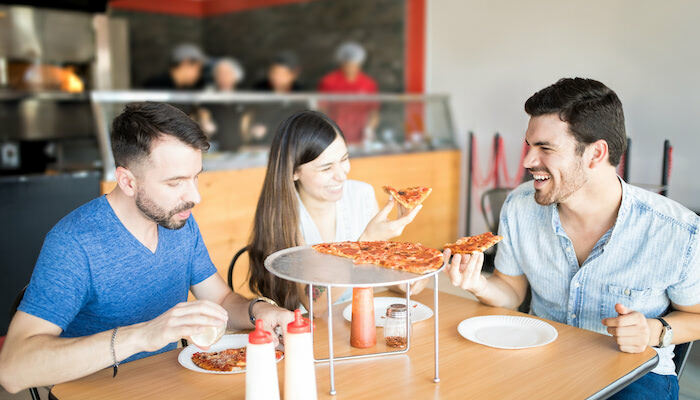 Check out the expert advice in our eBook, How To Select The Right Oven For Your Pizza Operation. Click the button below to access your copy now!